My employer recently switched HSA providers. The old one had horrible investment choices, but there were no fees associated with the standard savings-type account once you hit a fairly low minimum balance requirement. The new one? Fees. We’re now facing a $2.75/month charge with no way of escaping it. As many of you know, you’re not required to use your employer’s HSA provider so you might be wondering if we’re planning on going it alone. The short answer is “no”. We’re going to stick with the plan for one simple reason. It would cost us more to avoid the fees. To understand why, you need to understand how HSA contributions work. As you’re likely aware, HSA contributions come from pre-tax dollars. And when you take a qualified distribution, the money comes out tax-free, too. Kind of like a Roth IRA on steroids (tax break up front, no taxes on the back end). Ahh, but there’s an important difference between making contributions yourself vs. having them withheld from your paycheck. Yes, when you make contributions yourself you can deduct them from your income taxes. But when them withheld from your paycheck, they come out before FICA taxes are calculated. In other words, you can realize an additional tax savings of as much as 7.65% (6.2% Social Security + 1.45% Medicare). I say “as much as” because not everyone pockets this full savings. In our case, I earn more than the Social Security ceiling, so I’m actual saving just the 1.45% on Medicare taxes. But that 1.45% can turn out to be a sizable chunk of change. We’re saving the current family maximum of $6250 in an HSA, which means that we’re saving around $90 on Medicare taxes by having my HSA contributions deducted from my monthly paycheck. When you subtract our the $33 (12 x $2.75) in HSA fees that we’re paying we still coming out way ahead. And next year, when the maximum increases to $6450, our savings will creep a bit higher. The only bummer is that it appears (I still need to double check) that these fees have to be paid from our HSA balance vs. coming from outside funds. If I wasn’t over the Social Security ceiling the savings would be even larger — nearly $480 on the family maximum. Yes, the numbers will go down if you contribute less, but you should definitely do the math before deciding to make a clean break from your employer’s HSA provider. It gets a bit more complex when you start thinking about investing. In our case, we’ll face an additional $2/month fee to have an investment account. But the investment selections with this provider are actually decent, so we’ll consider it. The main downside is that if our employer changes their mind again, things could get messy. We’ll most likely take a hybrid approach, wherein we use the employer account to receive contributions and then periodically transfer it out to a provider of our choice for investing. Oh, and if you’re wondering why we would invest in an HSA, see here and here. Nickel: Too bad that your employer’s new HSA custodian didn’t turn out as well as you hoped. High fees. I’m still looking searching for a good alternative to my employer’s HSA custodian – HealthyBlueHSA from Bancorp bank. In recent dealings I’ve experienced horrible service from the phone customer reps (they simply hang up rather than deal with your question – happened 4 or 5 times in a row). They have contradictory information on their fee disclosure and application form. One lists an inactivity fee of $25 per calendar year, the other $50 over 12 months. One rep told me that this inconsistency hasn’t been corrected for 3 years – of course there are two separate institutions here – one dealing with the savings account and another the investment account. There’s even a dormancy fee on the savings account in addition to the above mentioned inactivity fee from the investment account. Well enough complaining. What can one do about this? I fully relate to the comment above from #7 Steve – being locked in through a tax-incentivized account leads to insufficient competition among providers and results in the consumer getting a raw deal. My research so far indicates I should grin and bear with my current provider – to continue to get my employer’s contribution, make my contribution via direct payroll deduction (avoid the 1.45% Medicare tax), and avoid having a second pool of low-interest savings in a second HSA. To invest, there are reasonable low-cost mutual funds – discounted trade fee of $5.99, and set myself up some reminders to buy or sell at least once per calendar year – to avoid steep inactivity fees. subject to any applicable taxes). So there are some catches to this strategy – a burden to your spouse or probate fees and added administrative tasks for an executor. I’ll suggest that each HSA owner might do better by paying qualified expenses from the HSA each year and get it done with. Keep the records for the required 3 or 7 years. I’ve been with HDHP+HSA for about 5 years now. Overall it’s worked out great. My employer offers a choice between HDHP+HSA and a PPO. The HDHP+HSA is about $700 less in annual premiums (my share) and the employer kicks in $1000 annually into the HSA. Most years we haven’t hit our deductibles, so the HSA balance grew. Following Nickel’s strategy I’ve increased my contributions to the max in the last couple years. Now it’s time to invest the balance (about 12K)in something better than the low interest savings. So far, I’ve held off on this because of various fees, spotty disclosure, and hassles associated with changing HSA administrators – which has happened a few times – a couple of times when I selected a different health plan, or switched to my spouse’s plan, and a couple times when my employer selected a new provider. Every single HSA administrator I’ve dealt with has been unsatisfactory in some way. Wells Fargo messed up with calculating interest on a Return of Excess Contributions (tax jargon). All of them charge fees for issuing extra debit cards needed for my family. Bancorp HealthyBlue HSA has a difficult (unfriendly) automated system at the entry point for their call center. Now I’m having the hardest time just logging in to get my statements. Even their call center rep couldn’t get past the technical barriers. And the fees to get paper statements ($4 per month) are simple extortion. I’m looking for an update (for 2012-2013) to your earlier post on Best HSA Custodian. Chris & BG: That’s a great suggestion. However, my employer doesn’t support payroll deduction to anyone other than their preferred provider. If I want to use another provider then I am welcome to either contribute directly or continue with payroll deduction and transfer it out. But redirecting the payroll deduction is not an option (for me, but it might be for others). It seems that being locked in/incentivised and having high fees go hand-in-hand. The same thing seems to happen with 529 plans in states that offer a state tax deduction for 529 contributions. All the users go through the same thought process as you – “It would cost us more to avoid the fees.” And then the companies providing the product and/or the entities choosing the provider (employer or state, for the HSA or 529 respectively) take that into account and only offer choices with higher fees. Chris, excellent point. Nickle should just open an HSA account at the financial institution he wants, then let his payroll people know he is switching (and provide them the account numbers) so direct deposit isn’t interrupted. Hello, I’m a benefits advisor who consults businesses on how HSA’s work. 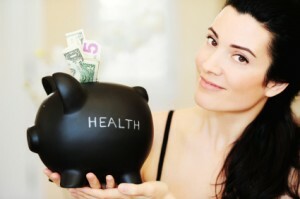 You can actually use your own HSA bank/credit union/trustee and also get the FICA savings. You simply have to have your employer direct deposit the funds into your HSA account using a regular routing and account number, just like a payroll direct deposit – but tax free. So, you an choose your bank and get the full tax benefit while avoiding fees. PS: I’m a principal in my firm, can buy any health insurance I want, and I have an HSA – and LOVE it. Great post. 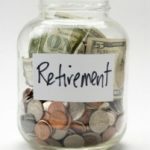 Never thought of comparing it to a ROTH IRA on steroids, but it is true, but tax-free withdrawals only for qualified distributions, which can be long-term-care/insurance when we are older and other health care needs which are much higher when we are older. Kind of like a ROTH Health Care IRA. Thanks. Exactly. That was a significant issue with the early HSA I had some years ago, when our governor annoyed so many insurers that only Cigna was left for state employees — and none of my doctors would do business with Cigna. In those days only a limited number of banks could host medical savings accounts. You didn’t have much choice. The one I ended up with, which was in Ohio, charged about $3.50 a month…and I only had about $1500 in the account. Investment fees were higher than that. Not enough to bankrupt you, but annoying. After the State of AZ decided to self-insure and provided an excellent, inexpensive plan (for a brief, shining moment we had a sane governor and administration — we’ve been back to the kookocracy for quite a while, though, as you know if you read the news at all! ), I quit contributing to the HSA. And so the $3.50 monthly hit would indeed have drawn it down to naught sooner or later. I had to dream up ways to spend the money, to keep it from being taken away from me by the bank. My wife and I found out about HSA late in our careers, but we maxed out on it when we did. We didn’t bother with investments because the number one consideration was: don’t lose the money. We’re retired now and still are drawing on those accounts. What’s nice about them, too, is they cover every thing, from vitamin to surgery. I use the hybrid approach you mentioned. Use payroll deduction so you avoid paying FICA tax, then transfer to another HSA custodian for a more preferable investment. Some custodians may charge to do the transfers though. Mine doesn’t at the moment. Also, like IRAs, you are allowed unlimited trustee to trustee transfers, but only 1 rollover per year. Needlessly confusing but that is how they do it. In my case I will pay the monthly account maintenance fee at the external custodian but the returns easily cover it and outperform the employer provided HSA.